1832 Smooth Genuine Office Dress Leather Belt. 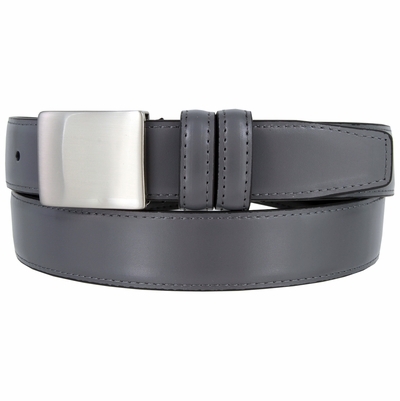 1-1/8" = 30mm wide Smooth Leather Belt. 5 adjustment holes with a matching leather keepers. Stitched Brushed Gunmetal Finish Buckle.